We are fully equipped to take care of any of your automotive and medium duty repair needs! A large staff of factory trained technicians. Competitive pricing on parts and labor.A indoor Service Drive, to keep you warm during vehicle check in and pick up.Free Alignment Check on every service visit.Free Battery Check on every visit.We work on All Makes and Models!Free Shuttle Service.Pick up and Delivery Service is available.Comfortable and clean waiting area. Why shop with Slave Lake Chrysler? Fill out our trade in form and let our trained professionals evaluate your personalized trade in value. Slave Lake Chrysler Dodge Jeep Ram in Slave Lake, AB treats the needs of each individual customer with paramount concern. We know that you have high expectations, and as a car dealer we enjoy the challenge of meeting and exceeding those standards each and every time. Allow us to demonstrate our commitment to excellence! Our experienced sales staff is eager to share its knowledge and enthusiasm with you. We encourage you to browse our online inventory, schedule a test drive and investigate financing options. You can also request more information about a vehicle using our online form or by calling (780) 849-5225. 2017 Buick Regal ALLWHEEL DRIVE,LEATHER,SUNROOF,NAVIGATION!! 2017 Chrysler 200 LX,A/C,9 SPD AUTO,FULLY EQUIPPED, NOACCIDENTS! 2015 Dodge Journey R/T AWD,SUNROOF,LEATHER,NAVIGATION!! As the premier Chrysler Dodge Jeep Ram dealership in the Slave Lake area, Slave Lake Chrysler has a large selection of New and Used vehicles from cars and trucks to vans and SUVs. Whether you're searching for cars for sale near High Prairie, SUVs for sale near Westlock, used minivans for sale near Smith, or Ram trucks near Wabasca, we at Slave Lake Chrysler are here to help you find your next vehicle. In the market for a Chrysler vehicle? Slave Lake Chrysler in Slave Lake Alberta is the perfect Chrysler dealer for you. Shop our inventory to find your Chrysler 200, Chrysler 300, Chrysler Town & Country or the All-New 2017 Pacifica from Slave Lake's Chrysler Dealer. We are the best place to shop for a Dodge in Slave Lake! Come see us and get into a Dodge Dart, Dodge Journey, Dodge Caravan, Dodge Challenger, Dodge Charger, Dodge Durango or Dodge Viper today. We also carry used Dodge vehicles, so if you're in the market for a used Dodge Grand Caravan for sale, Slave Lake Chrysler has exactly what you need. Shopping for a Jeep vehicle in Slave Lake couldn't be easier, we've got your Jeep Renegade, Jeep Compass, Jeep Cherokee, Jeep Grand Cherokee, Jeep Patriot, Jeep Wrangler in-stock and ready to go. Choose Slave Lake Chrysler, the Jeep dealership you've been waiting for! It's fact that we're the place to visit for Ram trucks in the Slave Lake area. 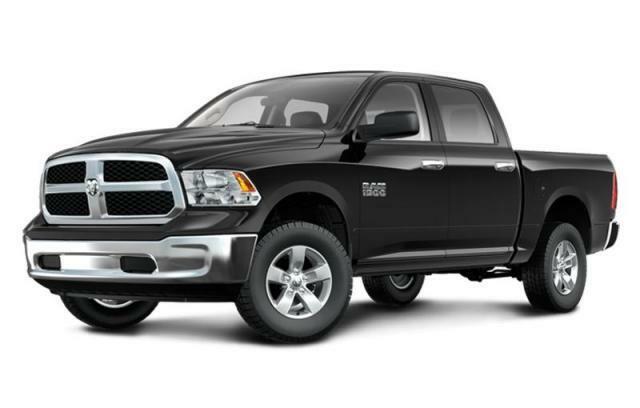 Our team can assist you with affordable options to purchase a new RAM 1500, RAM 2500 or RAM 3500. And for pre-owned selections, check out our stock of used trucks for sale! With a strong and committed experienced sales staff we have been satisfying our customers' needs daily. Feel free to browse our inventory online, request more information, set up a test drive or inquire about financing! If you don't see what you are looking for, click on CarFinder, fill out the form, and we will let you know when vehicles arrive that match your search! Or, if you would rather discuss your options with our friendly sales staff in person, click on Directions for interactive driving directions and other contact information. We look forward to serving you!